Think you know which plastics you can recycle? Comedian, musician, and online personality Rudy Mancuso says: think again. Plastics Make it Possible partnered with Mancuso to show Americans that we can recycle many more plastics than we might realize – from plastic beverage bottles to bags and buckets to bubble wrap. A recent Plastics Make It Possible survey revealed that people over 60 years old are among the best recyclers – 15 percent more likely to recycle each day than millennials. And compared to older generations, millennials are less likely to know that common plastics, such as shampoo bottles, yogurt cups, and milk jugs, are recyclable. 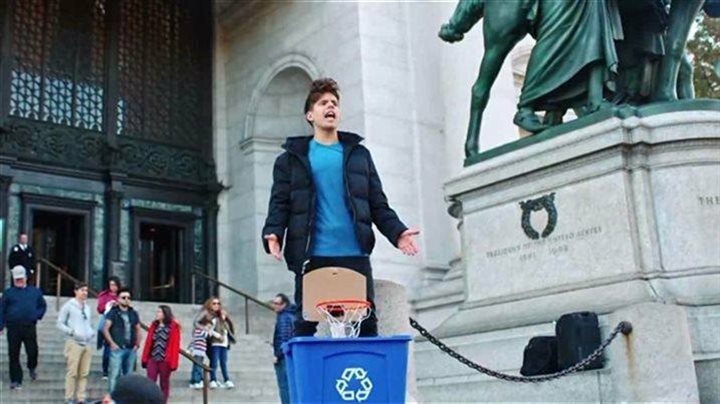 To raise awareness and encourage more plastics recycling, Mancuso walked the streets of New York City to test people’s recycling knowledge – and shed some light on how simple it is to recycle more plastics every day. To learn more about plastics recycling, visit plasticsmakeitpossible.com.